The Association of Seal Sailors (A.S.S.) has set their annual Spring Swap for April 7, 2019 at 8 am to noon in the 1st Street lot (aka River's End). All sailors, skaters, surfers, kiters and SUPers are welcome to attend. This is a free event but you'll need to pay the city for parking (or park for free up on the street). There are always bargains to be had and old friends to catch up with, so join us! Posted: Fri Mar 29, 2019 11:21 am Post subject: Reminder about the Spring Swap at Seal! 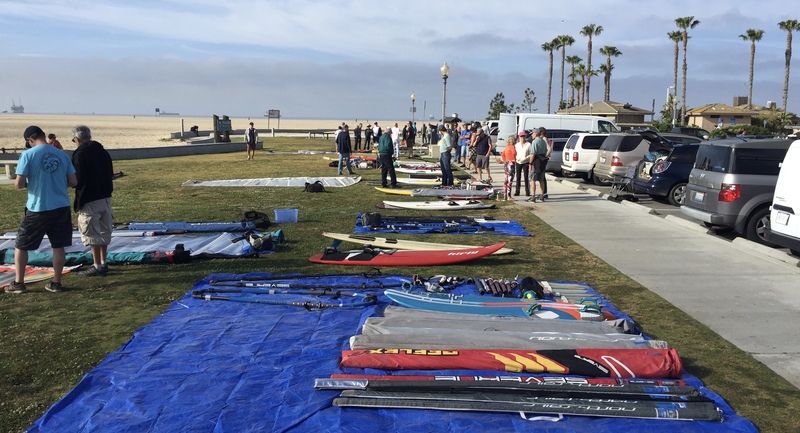 Don't forget to dig out your old windsurf, surf, SUP and kite stuff for the Spring Swap at Seal Beach's River's End rigging area Sunday April 7 at 8 am.